On 31 January, the 11th edition of the BHP Mala – Breakbulk, Heavylift and Project Forwarding International Conference and awards was held in Mumbai, India. The premier event has carved a niche for itself as the definitive recognition of excellence in the Indian Maritime and Logistics sector focused on Breakbulk, Heavylift and Project Forwarding segment. This was the first time that the conference was followed by an awards ceremony to recognise the industry leaders in Breakbulk, Heavylift and Project Cargo. 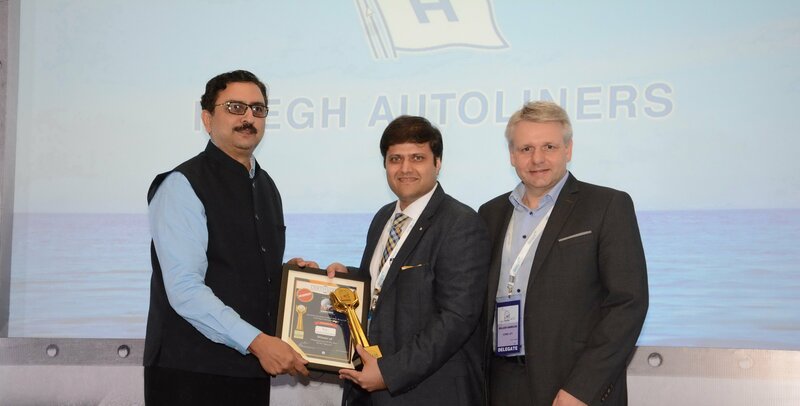 Höegh Autoliners was a proud recipient of the "Shipping Line of the Year - Ro Ro Operator" award. We are honoured to have been awarded the "Shipping line of the year – RoRo operator" at this prestigious event. The award is a recognition for the safe, professional and cost effective service we offer our customers in the transportation of Breakbulk and Project Cargo. The accomplishment comes down to the excellent performance by our team, as well as the continued support we receive from our customers. The event also saw representatives from logistics service providers, shipping lines and customers discuss topics such as global best practices, market innovations and future growth prospects in the Breakbulk, Heavy lift and Project Cargo industry.